Who said kids won’t do math on their own? Tonight, after Kiki had her shower, we sat down to watch one of our favorite shows Eureka. I looked down at Kiki during a commercial and she had her old left over Math U See book out. I asked her what she was doing and she told me she was doing math during the commercials. 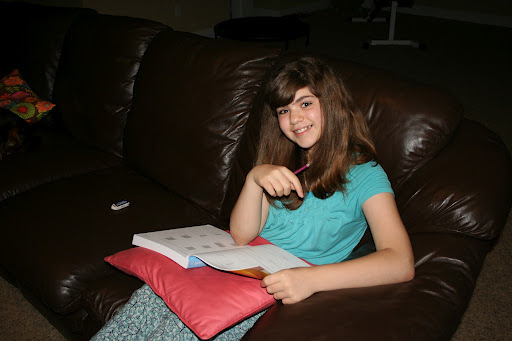 She is going over fractions and refreshening her memory on them. I guess she realized how much she uses fractions in her cooking (future chef). 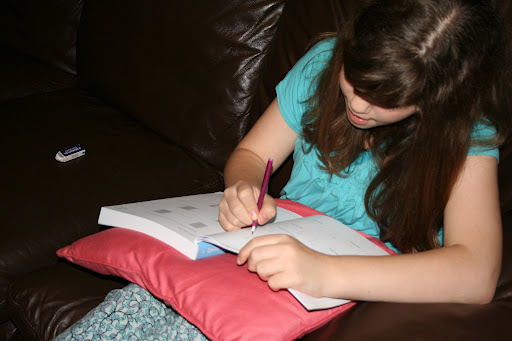 No one, not even her dad, can say that kids won’t chose to do math on their own. This 12 year old is living proof that kids will pick up and do math when they are ready to learn a new concept (or go over one they had done in the past). I am proud of you Kiki! I need to start posting more of the things they have been doing with out me, or our curriculum, telling them to do it.